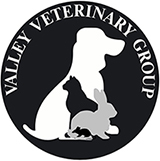 After dreaming about being a veterinary nurse since she was small, Kelly studied at Barony College for two years and qualified as a registered veterinary nurse in May 2008, before joining Valley Veterinary Group in 2009. She loves all aspects of her job and we’re sure this is her second home! Kelly oversees all the nurse training at the practice and makes sure all the vets run a tidy ship. She recently started back at work after having her baby boy who was born in June 2016. Lauren began working with us in 2011 as a receptionist, but showed a keen interested in nursing and, as of November 2015, became another of our registered veterinary nurses. Lauren is married and lives in Stewarton with her husband and Rottweiler, Sasha, and enjoys long walks with the two of them. She enjoys watching Grey’s Anatomy, Harry Potter and Disney films and strongly believes she is a Disney princess waiting for her letter arriving from Hogwarts! Caitlin has been with us since 2015. Starting as a nursing assistant she then went on to complete her HND in veterinary nursing in 2018 becoming a Registered Veterinary Nurse. She has a farming background, so loves all creatures great and small. In her days off she enjoys spending time with her two family dogs and is currently learning how to snowboard. Sophie qualified from Barony College in 2014 after starting with Valley Veterinary Group in 2011 and going on to complete her training. After working else where for a year, Sophie has re-joined the team and is very happy to be back! Sophie got married in April 2017 and has bought a farm with her husband. They live on their farm with Sophie’s Mum, Gran, 120 sheep, 80 cows and three dogs and she is loving being a farmer’s wife. Sophie feels the best part of her job is the patient care she provides as she feels she can really make a difference. Jordan is one of the Registered Veterinary Nurses here at Valley Vets. Outside of work she enjoys competing her horses in show jumping and going for big adventure walks with her dog, Olly. Jordan is also an active member of Crossroads Young Farmers Club where she likes to compete in handicrafts, baking and raising money for charities. In her spare time she also enjoys running and keeping fit. Beth is one of the youngest of our team and is currently training at SRUC Barony in Dumfries. Beth has been seeing practice with us since she was just 14 and is really enjoying finally starting her training. In her spare time, she enjoys long walks with her dogs, Dennis the Spaniel and Echo the German Shepherd. Beth strongly believes she was meant to be a mermaid but unfortunately, she was born with legs! Natasha started with us in July 2015 after completing a course in animal science at SRUC. She is one of our student nurses after spending some time working as a receptionist. Natasha started her training to become a registered veterinary nurse in August 2017. Outside of work she enjoys spending time with her horse and three rabbits. Natasha also likes to keep very active and enjoys hiking and snowboarding. Aileen joined Valley Veterinary Group in February 2019 as a Patient Care Assistant. She has lived in Ayrshire all of her life and is a Mum of three. She also has three cats Orion, Binx and Rosie. In her spare time she loves to spend it with her family along with reading, puzzles, walking and helping who she can whenever she can.